The Carlson Company construct the canine agility equipment at the Madison Police Department Training Center. 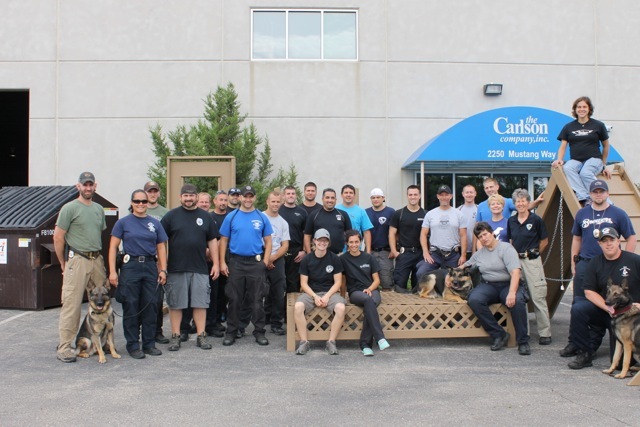 Thanks to Chris Carlson and his crew for building these wonderful canine training tools. 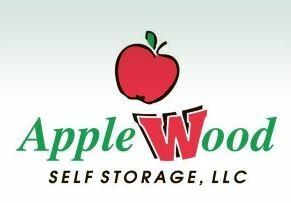 Capital K9s salutes this civic-minded business! The new shirts are now available for purchase on the Capital K9s website – “Shop Now” page. 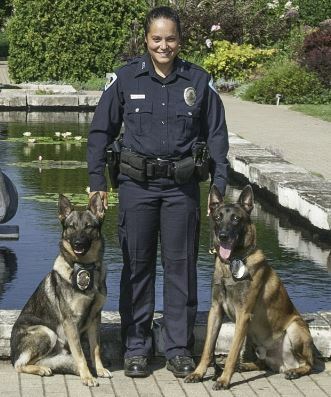 Lab aided: Two of Madison’s finest – Police Officer Jordan Ebner and Police Officer Micaela Magsamen – witnessed Bailey struggling in the deep end of the pool at Dog Paddle 2014. They pulled this lovable lab from the water and stayed with Bailey until the staff at the UW School of Veterinary Medicine could examine her. After Bailey passed this wellness examination, the owner was located. All’s well that ends well and Bailey went home with a great story to share with her pups and grand pups. Thank you Officer Ebner and Officer Magsamen for caring! Thanks to all who supported Capital K9s by purchasing this year’s raffle tickets! The efforts of Mad Rollin Dolls in selling the raffle tickets is greatly appreciated! 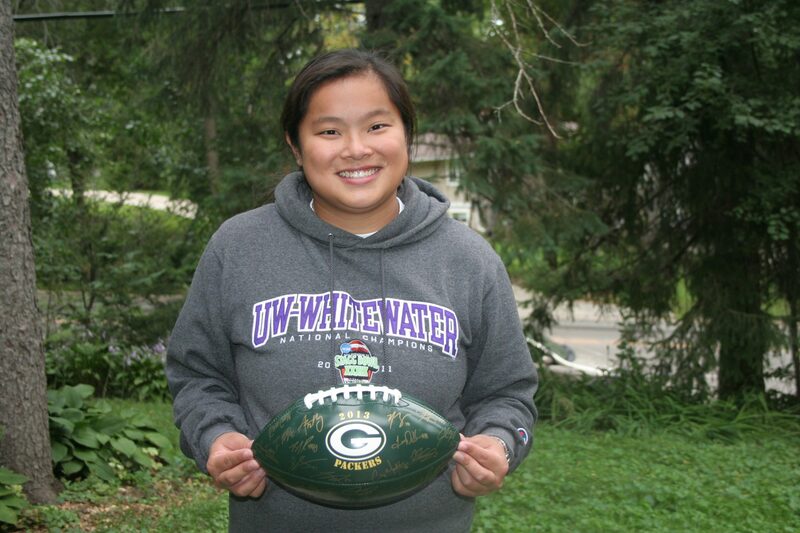 At Dog Paddle 2014, Capital K9s held a drawing for an authentic Green Bay Packers Football. Congratulations to this lucky winner! MADISON (WKOW) –Madison Police Officer Rose Mansavage has two partners, K9 Officers Marty and Falco. She jokes, “I see them more than my kids, my husband. It’s 24/7. Every day!”Officers Marty and Falco work and live with Officer Mansavage, so they have a very tight bond. In fact, try to get their attention and you’ll have a hard time. They are so in tune with her, they tend to not pay attention to much else. They are always waiting for a command from her. That’s something that saved a Madison man’s life recently. Stephen Nelsen, who has dementia, wandered off. Two K9 officers were able to track his scent and help mounted patrol officers find him. 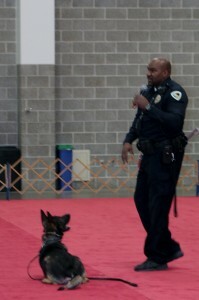 In most city-run K9 units, taxpayers foot the bill. But in Madison, they never have. 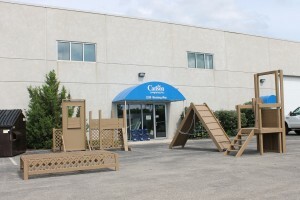 The non-profit agency Capital K9s was founded 10 years ago and raises money throughout the year. It pays for just about everything: the dogs, their training, health care, food and equipment. Everything except the human officers’ salaries and benefits. “That’s a significant contribution. 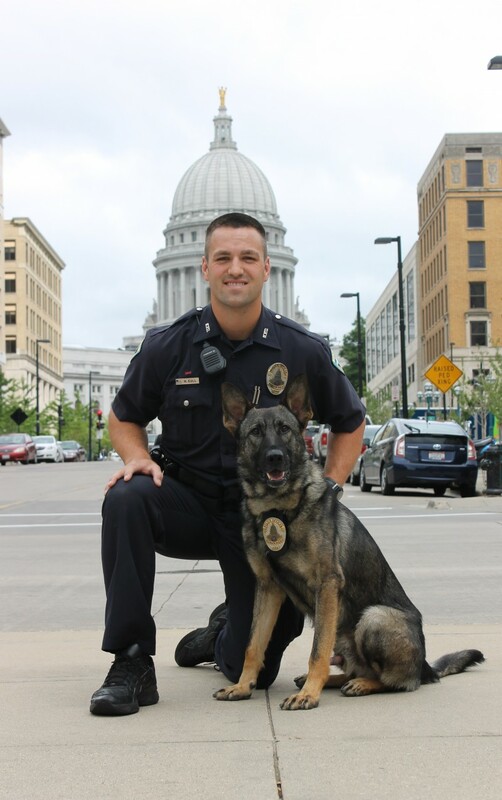 The estimate is $50,000 to put a K9 officer on the street that’s $50,000 less taxpayer money that’s not coming from the city budget,” says Officer Mansavage. 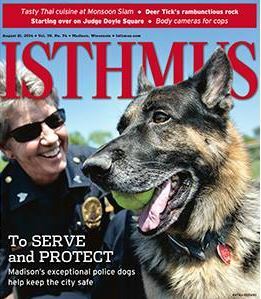 The Capital K9 program has two big fundraisers. The 8th Annual Dog Paddle is September 7th at Goodman Pool. All dogs are allowed to swim there for a donation. To learn more about it, and the non-profit’s spring fundraiser, head to this website.